I “discovered” Kommatia patterns via Instagram last year when I stumbled upon their Ferri Bodysuit pattern. 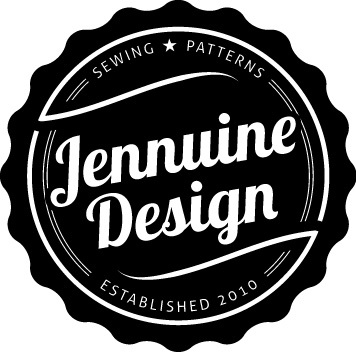 Shortly there after I expressed interest in becoming a pattern tester and just a few weeks ago I heard back from them. This is my first pattern test for Kommatia and it’s their Cannes Bodysuit. I love bodysuits, even though I’ve only made a handful, so I was excited about this one. This may be silly, but I wondered how off the shoulder bodysuit would stay up, especially without any elastic reinforcement in the neckline. Still I sewed it up per the directions in a large based on my bust size and I’m happy to report it stayed up during my photoshoot just fine! This bodysuit sewed up quick and easy! I had little issue at the V when I attached the neck binding but that was user error (or rather laziness). If you follow along with the instructions you’ll be just fine. Kommatia doesn’t belabor their instructions (they are quite brief) so if your a newbie it might be a tad confusing, but if you’ve sewn a bodysuit or even a top before you should be fine. I used a lightweight jersey I had left over from that worked well, though I didn’t do the best at lining up the side or sleeve seams. Any knit with 4 way stretch will work so try solids, florals, stripes or any print to make a collection of comfy bodysuit to wear this summer with skirts or shorts. Or layer under overalls. You could also lengthen the sleeves for the fall with jeans or joggers. Pattern Description: bodysuit features short sleeves and a daring V neckline which highlight your bare shoulders. Both elegant and practical, the bodysuit has snaps added to the crotch to ensure an easy slip-on fit.